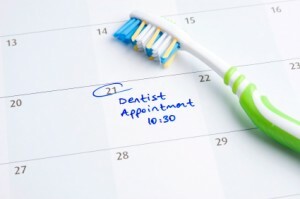 While it’s true that your Apple Valley dentists, Dr. Shelley and Dr. Bennett, and the team at Dakota Dental Family Dentistry love to regularly see their patients – and coming in twice a year does make for a healthy and pretty smile, a very important reason to commit to those routine checkups and dental services is to have an oral cancer exam. The survival rate increases to about 90% if your dentist detects oral cancer early! Oral cancer screening is always a regular part of your dental examination at Dakota Dental Family Dentistry. These regular dental procedures and check-ups including a professional examination of your entire mouth – including your lips, gum tissue, cheek lining, tongue and the hard and soft palate by Dr. Shelley and Dr. Bennett are essential in detecting cancerous and pre-cancerous conditions at the earliest possible stage. It’s possible to have a very small, but life-threatening oral spot or sore and not even know it – oral cancer may not exhibit any other warning signs. Don’t smoke. Drink in moderation. Even though not all oral cancers are preventable, tobacco and alcohol usage contribute to risk factors. Not starting to smoke is the best way to limit the risk of getting these cancers. Quitting tobacco also greatly lowers your risk of developing these cancers, even after many years of use. The same is true of heavy drinking. Limit how much alcohol you drink, if you drink at all. Limit exposure to ultraviolet (UV) light. Ultraviolet radiation is an important and avoidable risk factor for cancer of the lips (as well as skin cancer.) Limit the time you spend outdoors during the middle of the day, when the sun’s UV rays are strongest. If you’re out in the sun, wear a wide-brimmed hat and use sunscreen and lip balm with a sun protection factor (SPF) of at least 15. The American Cancer Society recommends eating at least 2½ cups of vegetables and fruits every day. Choosing whole-grains instead of refined grains and eating fish, poultry or beans instead of processed meat can help lower your risk of cancer. See your dentist twice a year for regular dental examinations. Routine dental services including an examination of the entire mouth are essential in the early detection of cancerous and pre-cancerous conditions. Fortunately, your Apple Valley dentists at Dakota Dental Clinic have the professional skill and tools to expertly (and painlessly) detect any indicators of oral cancers. Schedule your routine check up and come in and see Dr. Shelley or Dr. Bennett for this vital, maybe even life-saving, examination.